The NIKOLAY CHIKER was last seen near Havana in April 2014. 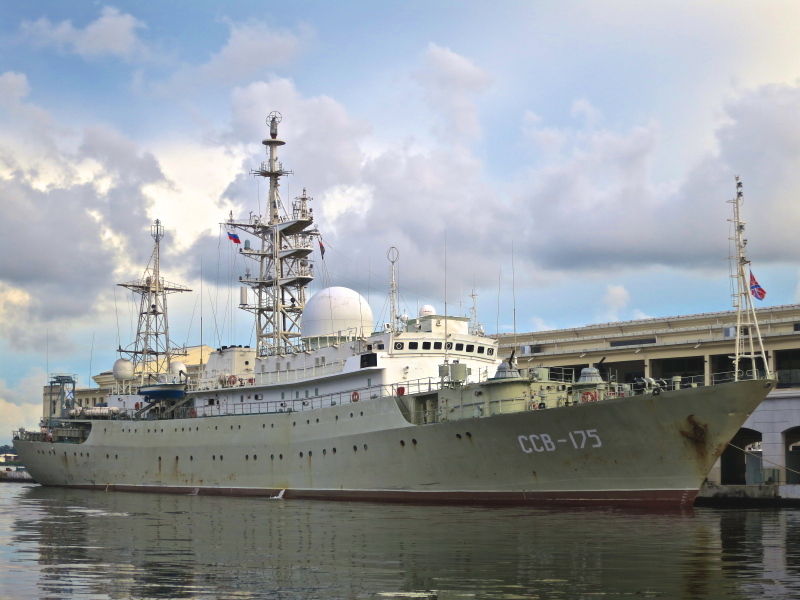 Russian ships Viktor Leonov and Nikolay Chiker operated in waters that are beyond U.S. territorial seas but near Cuba, the Pentagon announced last April. The Russian spy ships docked in Havana today a day before historic US-Cuba talks. A Russian intelligence warship docked in Havana on Tuesday, a day before the start of historic US-Cuba talks aimed at normalizing diplomatic relations.